Do you ever get guests who arrive unannounced? Most of the time, that’s not a good thing! If it’s a good friend, well, ok—come as you are and we’ll take you as we are. 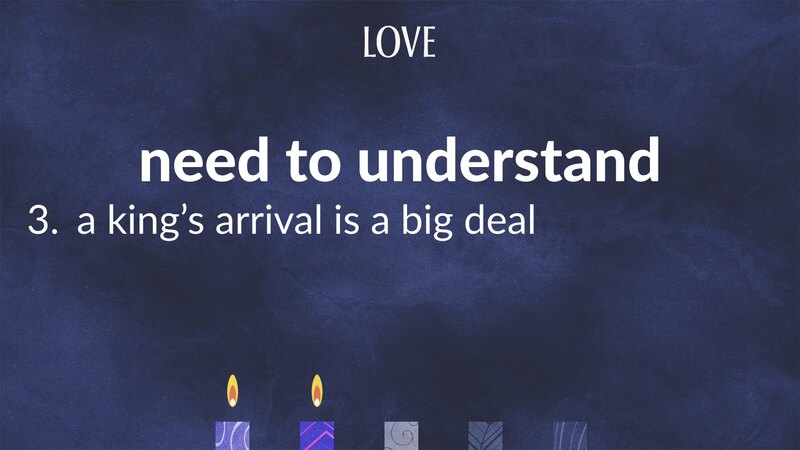 But, what if it’s someone pretty special—your boss, the in-laws? !, the president, Publishers Clearing House? We know about announcers. They introduce the star of the show. Remember Ed McMahon’s famous, “Heeere’s Johnnie!”Even Jimmie Fallon has an announcer, Steve Higgans. When it comes to presidents, we know that the preparations for any presidential appearance are extensive. And things weren’t much different in the ancient world. 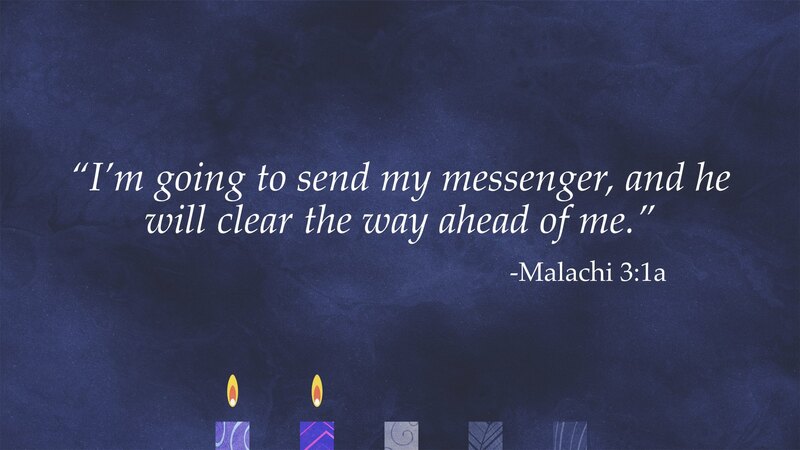 Today we listen to Malachi, who’s name itself means “my messenger.” Prophets, like Malachi, were also “God’s messengers”. 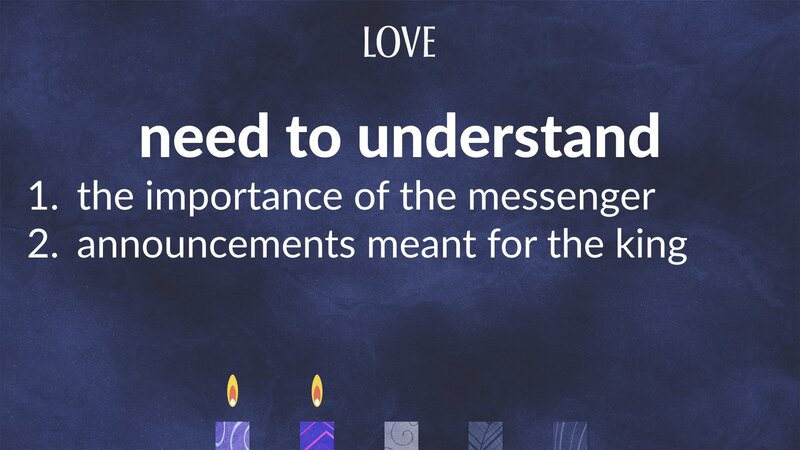 They not only prepared the way but also communicated the message from the the kingdom of God. So how can someone prepare? Both Isaiah and Malachi use language that describes clearing the road (getting rid of obstacles). Isaiah actually talks about a highway. A superhighway means smooth sailing: no traffic lights, no summer construction, nothing in the way. But it was God who actually did the preparation, through His servants. 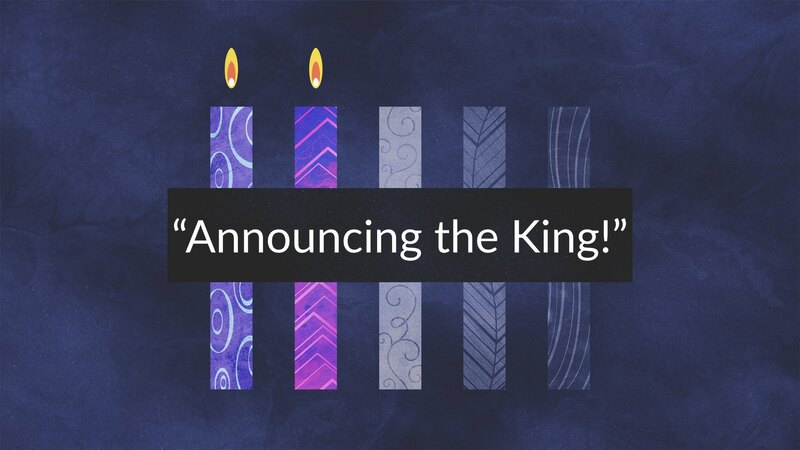 The people were to simply anticipate the coming king. Again, the ancient world’s illustration is the backdrop. Kings returned home to their capital city in a victory parade. We looked at the close relationship between king and city last Sunday. Today, think about the king himself coming home. That processional included a good deal of pomp and circumstance. He expected to be recognized and honored for whatever victories and conquest and spoils of the nations that would come with him. It was all about the king, and he didn’t come unannounced. 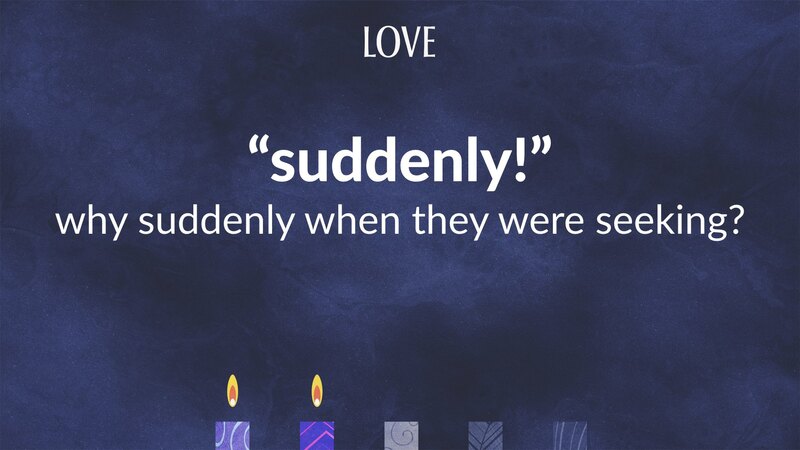 But did you catch the subtle little word in our lesson, “suddenly!” The whole point of this passage is about preparing the way, and the people who were “seeking” their lord. You’d think they’d be well prepared. Yet when “the lord” comes, he comes suddenly! 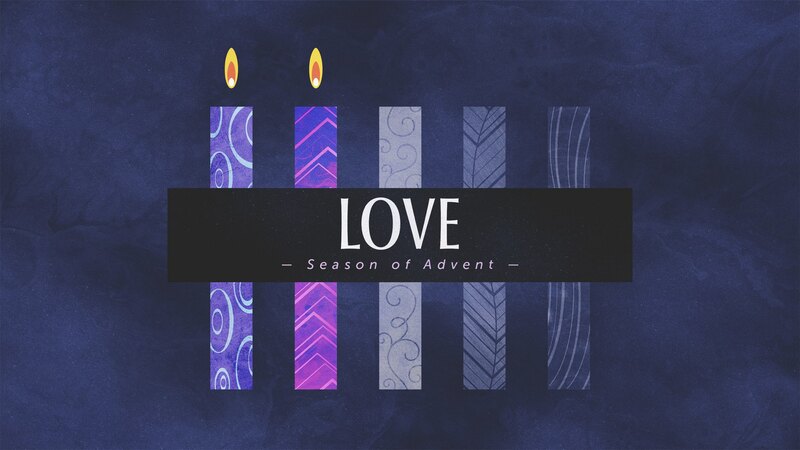 So, what are you expecting this Advent? This next year? Now that it’s been announced the king is coming? Victory, Celebration? 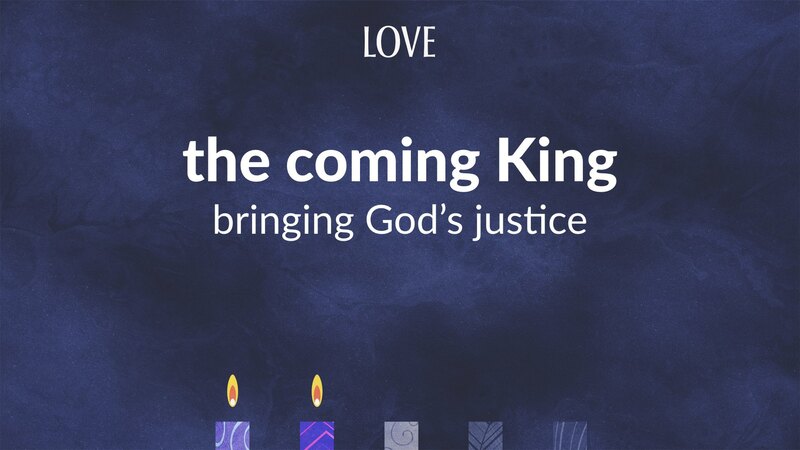 In Malachi’s day the people were expecting God to come and finally fix the problems of an unjust world. They thought that the kingdom of God should be doing better than it was. 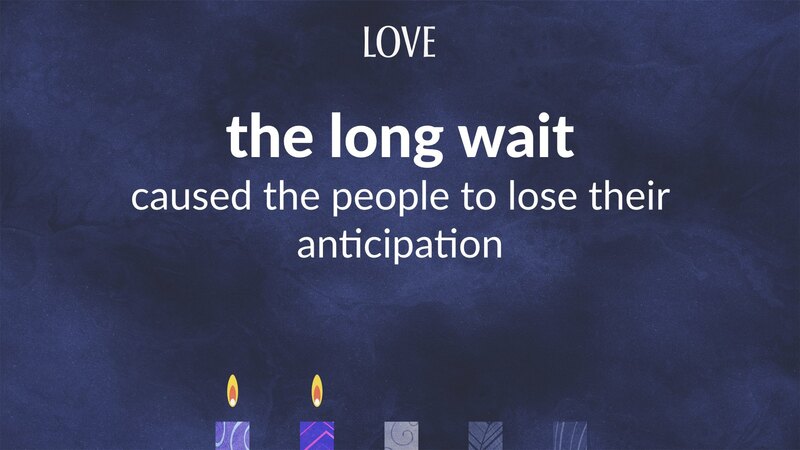 The long wait, caused it to lose its anticipation and luster, in these waning centuries of the Old Testament. They witnessed a lack of good leadership even among the people of God—the kings had come and gone, and now the priests were losing their edge, taking any old sacrifice as long as it came with money to fund the temple or grease their palms. Most were just going through the motions. If the priests do the ritual, we’ll be fine no matter how we live in our marriages and our families. Actually that’s really a good thing! It might not be what we expect, or even want, but it is truly needed. 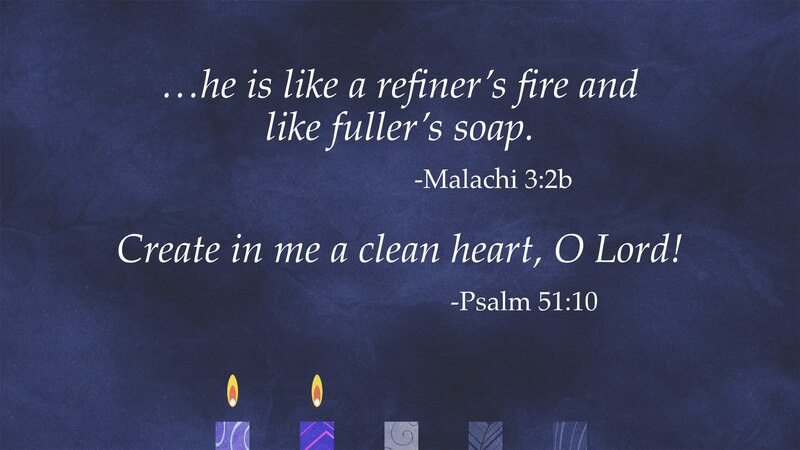 “Create in me a clean heart, O Lord!” (Ps 51:10) What’s worse than thinking we’re doing the right thing, when we’re not? What is worse than thinking we should be telling God how to be king, when He is King, and we are not? Do we want to be clean or just “blessed” by our own dirty standards? 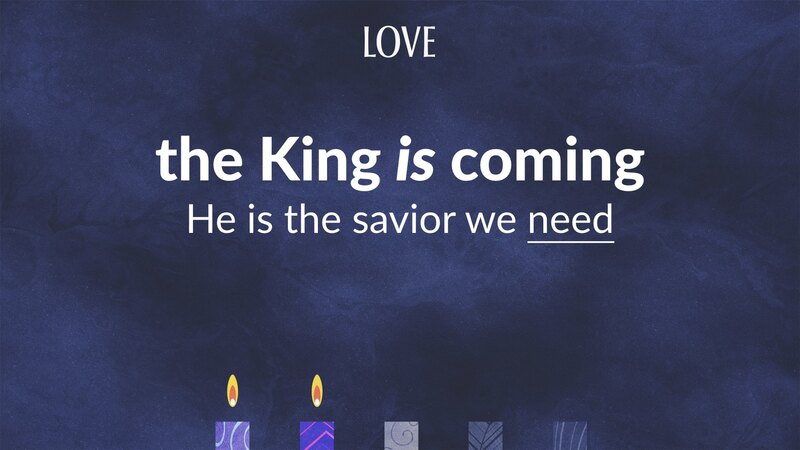 Yes, the King is coming, the savior that we are waiting for. And He has a few surprises for us. He didn’t come like any other king. That’s where the comparison ends. 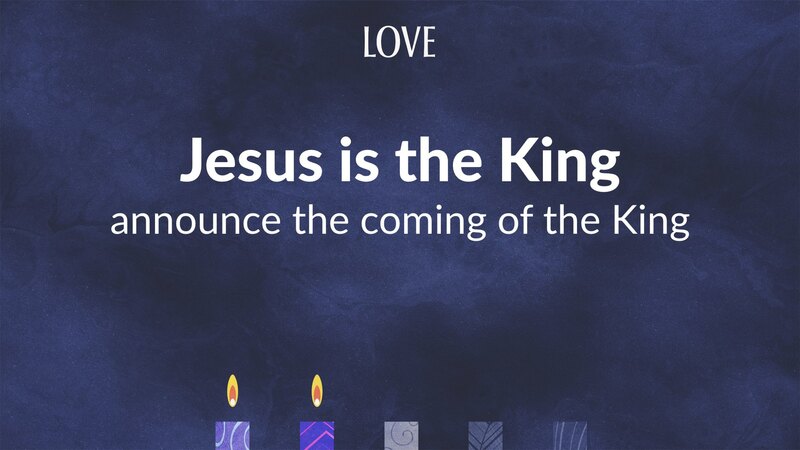 First, Jesus’s message isn’t a human invasion and victory: it’s a message of restoration and forgiveness. If there is justice, then it will come through God’s mercy and His grace. Our sins will be paid for, but not by you or me. They (and we) want justice, and He gives us justice. He exposed their sin, yes, our sin, too. But, then He paid for our sins Himself. The Lord, went to His temple. At one point he even acted out a king’s triumphant entry, but it was a parody on the king’s parade. He didn’t come to be served, but to serve, and to give his life as a ransom, for YOU. After His vicory came the victory parade. A parade not into the city, but out of a tomb! Also to those hiding in an upper room, scared of the world out there! To Galilee, back to Jerusalem, and with a mission to announce His kingdom to the entire world. And then he left, but he will return. Will His coming be unannounced? God used Malachi, and then John, as His messengers. God wants His coming to be announced. We know he is returning, maybe “suddenly.” But, He has announced it, and we can announce it, too. 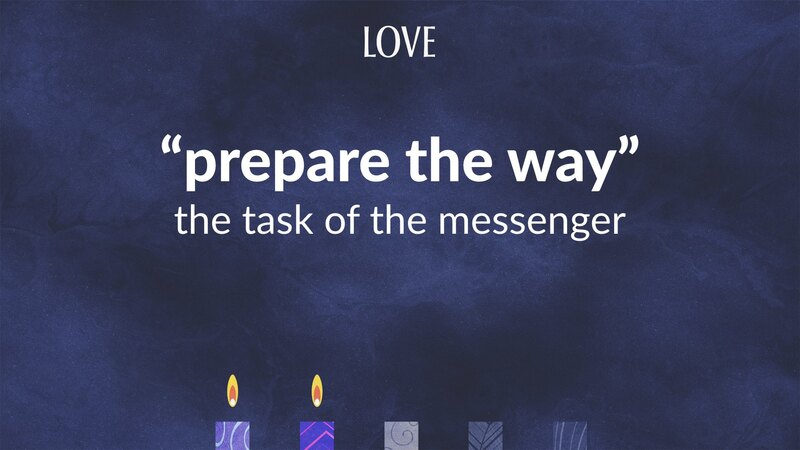 Advent is a time of preparation, for the coming of the King. When He returns we’ll be singing, “Hark, the herald angels” for a different kind of arrival. And as we await His arrival, may that peace of God, which transcends all understanding, guard your heart and mind in Christ Jesus. Amen.